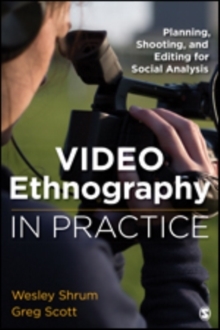 This book guides students through the process of producing an ethnographic video; the most significant new methodological technique in 21st century social analysis. The authors, both accomplished videographers, cover the basic techniques of creating a video that documents human culture and behaviour with true stories of the process of videography throughout. This text shows how new technologies like smart phones, online editing software, and YouTube, have turned video ethnography into something that is within reach of students in a conventional course framework.